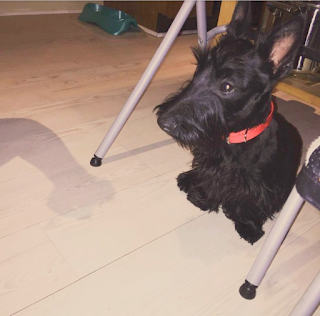 Friends, sweet Romeo the Scottish Terrier needs our help. Only 12 weeks old when he found himself in a rescue program, this Scottie boy has so much more life to live and we want to give him his best shot! You see, Romeo has a heart condition - a birth defect no one realized he had at first - that requires surgery. 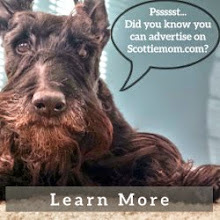 To date, the costs of his medical care including the medication he's been on for about 9 months now and all the testing have been shared by two rescue groups: Mid Atlantic Scottish Terrier Education and Rescue and Scottish Terrier Club of Greater New York Rescue. But they need our help paying for Romeo's heart surgery...and they're so close to reaching their fundraising goal! Will you help this one-year-old boy live his life to the fullest? You can make a donation of any size as well as learn more about the fundraising project and Romeo's story here. Thank you in advance! 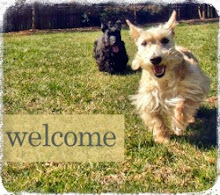 Our hooman has shared this for you. Paws crossed it helps!